The Congressional Club is the Quintessential Washington Historic Wedding Venue! Of course DC is filled to the brim with historic venues: the White House, the US Capitol and maybe, given the explosive growth of the city, some would say The Air and Space Museum, to name a few. At MTG, we are honored to work with the only historic WEDDING venue in DC: the Congressional Club. Founded in 1908 as a club for congressional spouses, the organization is proud of its distinguished tradition of fostering friendship and comradery among the Nation’s leaders. Its Clubhouse, built in 1914, is listed on the National Registry of Historic Places. But what makes the Congressional Clubhouse not only a historic venue, but a HISTORIC WEDDING venue, is the Club members’ celebration of the very first of the many weddings of DC dignitaries that would take place there through the years. 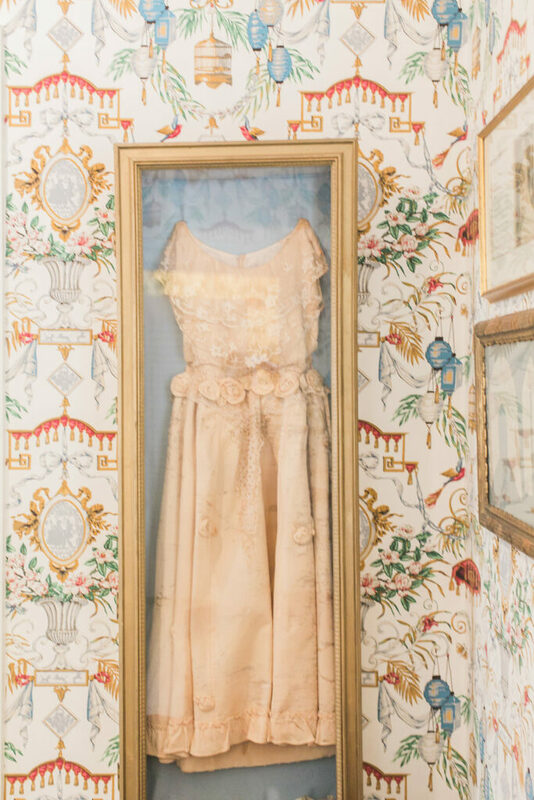 One of the Club’s many historical treasures on display is the original wedding dress worn by the first bride, Mrs. Erma Strong Haworth, the daughter of Representative James George Strong of Kansas, on February 12, 1923. The dress had originally been worn by her mother at her own marriage to Representative Strong in 1894 and was beautifully refashioned to reflect the style of the 1920’s. A one-inch band of lace around the waist came from a dress that Representative Strong’s mother had worn to Abraham Lincoln’s Inaugural Ball in March 1816! This exquisite dress and its lace celebrate rich moments in American history, a tender three-generation family story and a time-honored tradition of weddings at the Club. Come take a tour and experience this treasured historic venue for yourself. For the first time in its rich history, the iconic Congressional Club is available to every couple who dream of celebrating their wedding in a location that honors the best of Washington DC’s past as they look forward to their future together. We’ll be sharing more of the club’s rich history in future blogs! 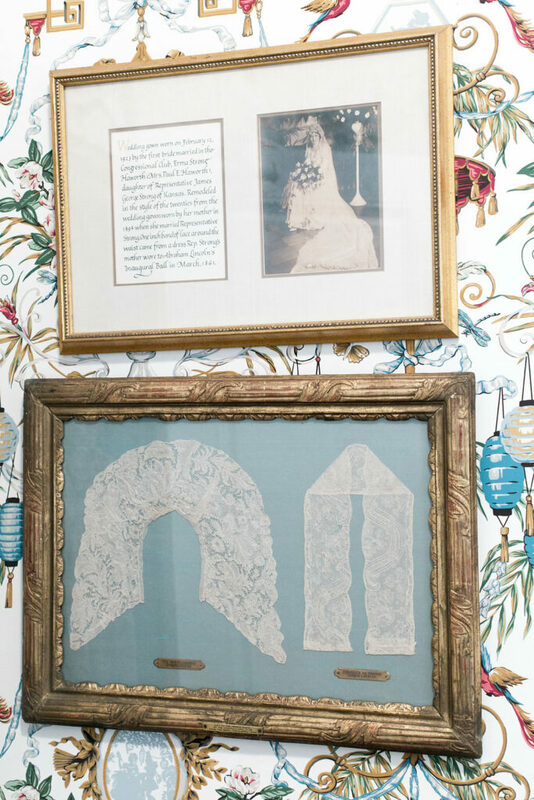 On prominent display; the one-inch band of lace worn to Abraham Lincoln’s Inaugural Ball in March 1816 and a picture of the bride.